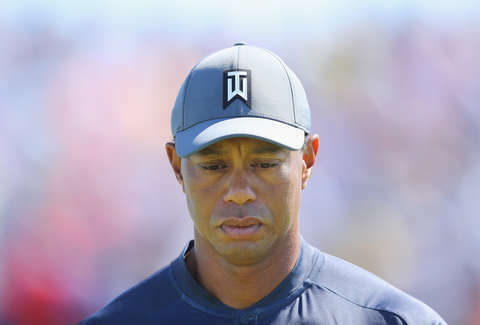 Tiger Woods opened Thursday's round at the US Open with a splat. He finished the first hole with an abysmal triple bogey. Jokes about his rough start spread quickly across social media. With all jokes about IHOP's change to IHOb in the rearview mirror, Wendy's -- fast food as well known for Twitter snark as square burgers -- saw an opportunity to dish out fresh burns. The chain took a swipe at Woods while he was down. Taking a shot at a professional athlete is a little outside the pigtailed chain's wheelhouse. It's usually preoccupied with getting blocked by Hardee's, having rap battles with Wingstop, or making sure everyone knows exactly how fresh the beef is at McDonald's. Nonetheless, opportunity knocked. As usual, Wendy's followed up the tweet by complimenting its own wit and responding to people who couldn't handle the snark. Despite the tweet, Woods managed to improve as the day went on (or at least avoid another triple bogey), even if it wasn't his best outing. As far as the tweet, he's probably not too worried about it. He's an Arby's guy.